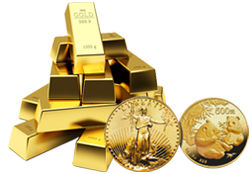 Coin and Bullion of Pensacola is Northwest Florida’s premier gold and silver bullion and jewelry store. In this business, trust and experience IS THE DIFFERENCE. There are a lot of options in which you can buy or sell gold or silver bullion, jewelry or etc, but there are few destinations which are the wholesalers for the industry. 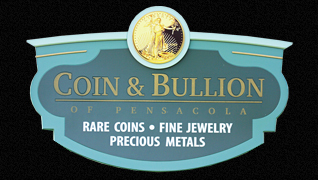 Coin and Bullion of Pensacola is the clearing house for most of the area’s gold and silver dealers. This is one of the reasons why we can offer you more, by dealing directly with the wholesaler. Coin and Bullion with over 50 Years of combined experience in dealing with precious metals, sterling silver, gold, rare coins, graded and certified coins, gold and silver foreign coins, antique, broken and old silver and gold jewelry as well as estate valuables no one will offer you more. Over the years, Coin and Bullion of Pensacola has gained the trust of 10,000’s of customers trusting us with their most valuable assets. Whether it is a rare or simple diamond, bracelets, rare coins, historic pieces, old or broken jewelry we have seen and traded it all. We also do free evaluation services where we will appraise your items. We are one of the most trusted and experienced destinations to buy or sell your rare coins and bullion and you can take that to the bank. In addition to our premier gold, silver bullion and rare coin buying and selling Coin and Bullion offers a wide array of services for our customers. Estate Buying - contact us first to evaluate your gold, silver, antiques and rare items. We will offer you the highest amounts for your precious items on the spot. Jewelry – We offer one of the most unique jewelry selections anywhere at wholesale prices. Our jewelry ranges from liquidated modern and specialty items to very rare and unique items from our Estate Collection. No one can offer you jewelry at better prices. Jewelry Repair – Coin and Bullion of Pensacola offers Jewelry repair for your special jewelry items. We do resizing, stone replacement, stone upgrades, resoldering, custom designs of new jewelry. Let us show you what we can do and offer you the best service for your money. Rare Coins – We are the premier dealer of certified coins, rare coins and currencies, with over 10,000 items in stock. We have items ranging from Spanish reales to certified rare coins. Let Coin and Bullion bring their experience and position in the market place pay you the most for your valuable items. Whether you are in the market for a historic civil war bond, a custom Spanish real pendant, jewelry repair or simply want to sell your gold and silver no one will or can offer you more than Coin and Bullion of Pensacola. Want to know more about the coin and bullion industry? Coin and Bullion of Pensacola specializes in estates of any size. We specialize on large jewelry and coin collections as well as rare antiquities. We buy all gold and silver jewelry broken, new or used. Come in today for an appraisal of your gold and silver items.